Fans of Colorado football will no longer be limited by alcohol restrictions at Folsom Field and will be able to purchase beer and wine throughout the stadium. For the better part of two decades there was no alcohol sold at CU football games, but the program added beer gardens in 2014, which allowed fans to purchase and consume alcohol in the designated areas. Starting in 2018, fans will be able to purchase beer and wine in the general concourse areas, and will be able to take their drinks back to their seats. those sales will be extended to the concourse areas so patrons can bring drinks back to their seats. 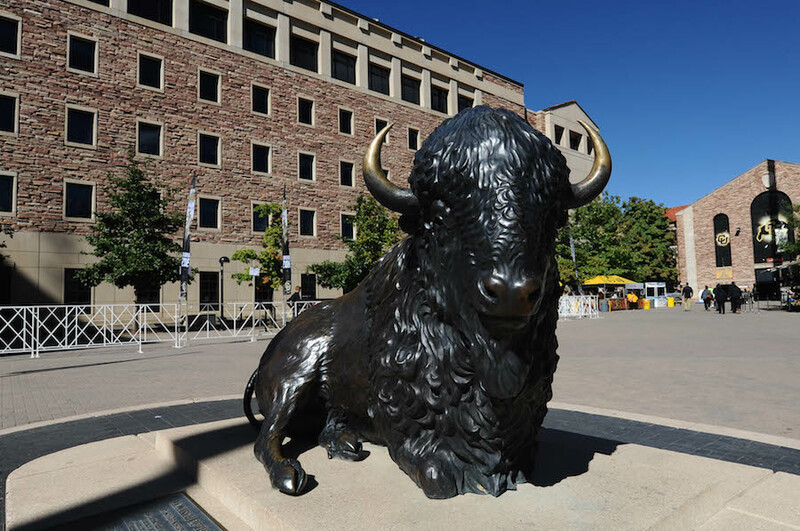 According to a release from the university, CU athletics introduced the same policy at basketball and volleyball games at the CU Events Center last season without behavioral issues from fans. Safety protocols that were previously in place with the beer gardens will continue to apply at CU games. Those procedures include identification checks at every sale, a limit of one beverage per customer and stopping sales at the end of third quarter. Furthermore, vendors will be fixed in the concourse areas and not walk through the seating areas. Starting with the 2019 football season, re-entry will not be allowed. Both Colorado State University and the United States Air Force Academy already offer public alcohol sales at their respective football games. In recent weeks, Arizona and Oregon also announced the expansion of beer and wine sales at football games in 2018. Security crews will add walk-through metal detectors at the gates to speed up the entry process. Fans will not have to remove keys and phones, which will speed up entry into the facility. Security wanding will continue to be available for secondary screening, as needed. The Indoor Practice Facility will no longer be open on game days. This move will allow easier ingress and egress in the Buff Walk area on the east side of the stadium. Unlike previous years, fans will be able to walk in the area between the stadium and Indoor Practice Facility to access entry gates. The Chip’s Kids Club area will move to the lawn area south of the Benson Earth Sciences building. As a reminder, events at Folsom Field and the CU Events Center have had a clear bag policy since the 2016-17 season. Only bags that are clear plastic, vinyl or PVC and do not exceed 12″ x 6″ x 12″ are permitted.